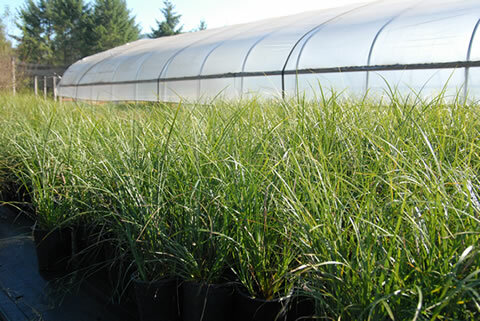 Native Grounds Nursery is in the heart of the Southern Willamette Valley. We are located four miles east of Brownsville, 30 miles North of Eugene, twenty-five miles Southeast of Corvallis and 100 miles south of Portland. We are a wholesale container nursery specializing in natives, groundcover, and hummingbird plants. Native Grounds is located in the historic town of Brownsville, Oregon and has been in business since 1999. We continue to grow various native and ornamental plants to complete any yard, wildlife habitat, or riparian restoration project. Our goal is reliability, convenience, and a commitment to quality. We aim to provide professional help and assistance with projects in both the public and private sector. With onsite delivery, contract growing, and extensive landscape knowledge, Native Grounds can help you find solutions to your most challenging projects.